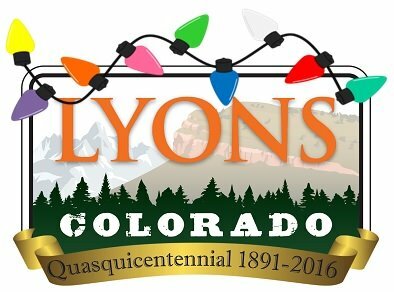 The Lyons Utility and Engineering Board would like to emphasize the importance of not putting Fats, Oils or Grease (also known as FOG), food scraps, or any plant matter down your drain. Processing FOG and food scraps at Lyons' wastewater treatment plant increases the cost of running the plant. Food scraps should be composted - not put through a garbage disposal. FOG should be disposed of in a sealed container into the garbage. Please help keep our utility bills from going up and our new wastewater plant running at less cost. At the December 21, 2016 special Board of Trustees meeting, the Board approved a contract with DeFalco Construction, to move forward with restoration and improvements to Bohn Park. 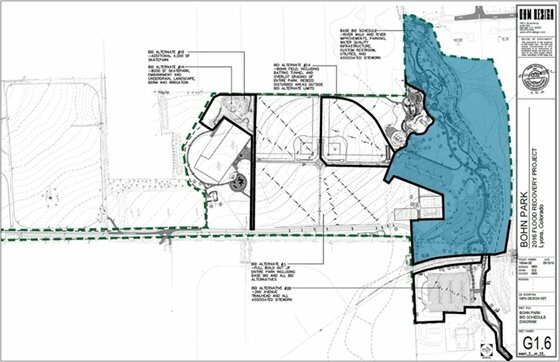 This phase of the Lyons Parks Recovery includes river restoration and improved ecological habitat, parking, a new restroom facility, a pedestrian bridge connecting to 4th Ave., continuance of the trail system within the plan area, and other infrastructure enhancements. Construction will begin in January 2017, and is anticipated to be complete in late summer. The majority of the work will be within the blue highlighted area on the map. Project updates will be sent throughout construction.